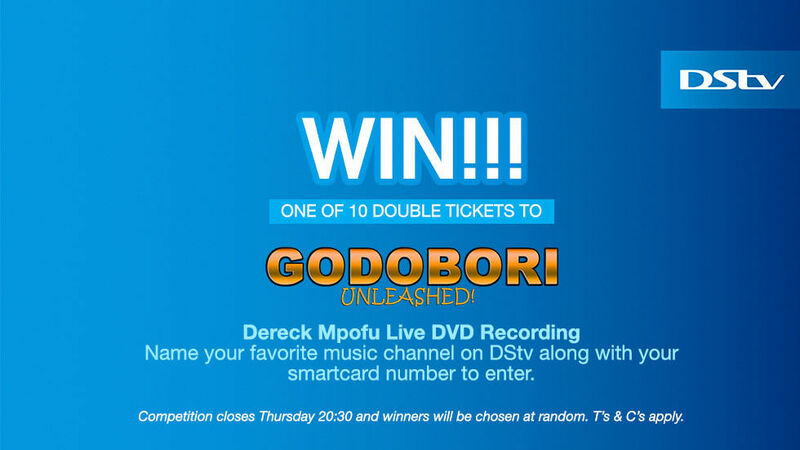 We have 10 double tickets to give away to Godobori Unleashed! Don't miss DERECK MPOFU backed by the award winning choir NOTE2ETON this Saturday 14 October @ Theater in the Park, Harare Gardens. Doors open @ 19:30! Go to our official DStv Zimbabwe Facebook page and name your favourite music channel on DStv along with your smartcard number to enter. Closing date: 12 October 2017. Standard Competition Terms and Conditions.